Yes, it has to be regulation. As it turns out, yesterday’s post about regulation has better versions everywhere. Oh well. But there is one element I haven’t seen elsewhere yet: why regulation is particularly important for industries like coal. With other industries, we’ve got a major leverage point in addition to regulation: consumer pressure. When Gap got in trouble for using (or allowing its subcontractors to use) sweatshop labor, they faced a consumer protest campaign. Half of the news stories about Toyota’s recent woes centered on consumer response. To make an Upper Big Branch metaphor, think of it this way: A local restaurant is repeatedly fined for not having any smoke alarms or fire extinguishers, but the owner drags his/her feet because installing smoke alarms would require some electrical re-wiring. A fire breaks out in the kitchen of one restaurant, spreads quickly, and kills 25 employees. You would never go to that restaurant again. 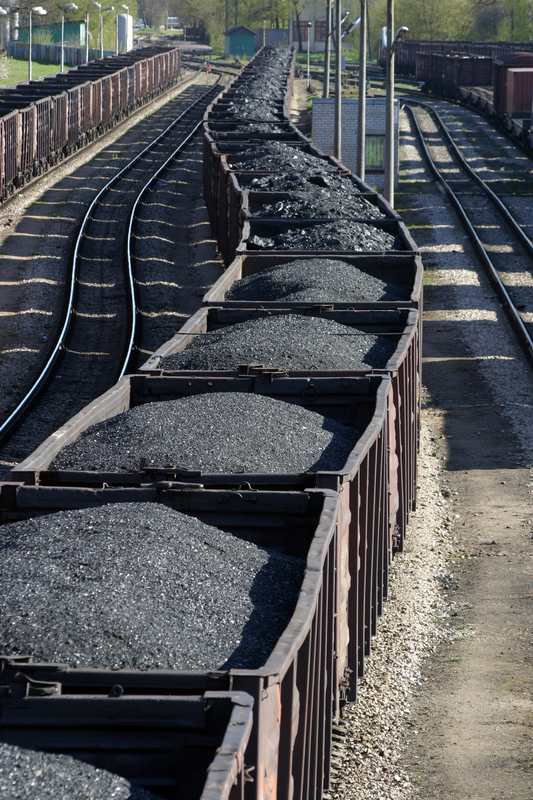 The problem with coal companies–and other natural resource extraction companies–is that the link between the producer and the consumer is murky and convoluted. Consumer won’t stop using Massey Energy coal to punish the company for their lax safety standards because consumers have no idea whether or not they’re using Massey Energy coal. In the absence of pressure from the consumer, effective regulation becomes that much more important. 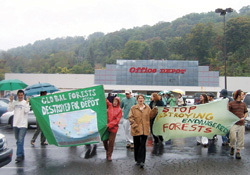 There are attempts–like the Dogwood Alliance’s Green Grades–to link natural resources to the retailers that buy them and then put consumer pressure on those retailers. Undoubtedly, they offer an interesting alternative for the future. But given how much trouble a university that wanted to stop buying mountain top removal coal had in pin-pointing the exact source of it’s coal, I’d say we’re a long way away from having anything but regulation for coal. I’ve heard a lot of different perspectives on the recent coal mine accident in West Virginia today. Some folks speak as if “accident” and “unavoidable” are synonyms. Many others, especially those with family who were or are miners, talk about the dangers of mining and the bravery of the miners. A few folks suggest that the regulators didn’t do their job. One person told me that Massey Energy Company is an evil corporation. And all of those things might be true, but I think they miss the point of this particular tragedy. As far as I can tell, the problem wasn’t that the Mine Safety and Health Administration (MSHA) didn’t know there were problems with the mine–in March, the Upper Big Branch mine had 53 safety violations. It’s that they didn’t have the leverage they needed to force change. As in many industries, the effectiveness of MSHA is limited by the fact that it is usually cheaper to pay the fine than to comply with safety standards. 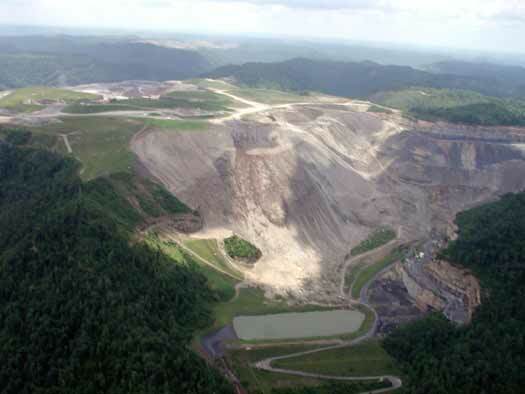 Last year, 500 citations were issued against the Upper Big Branch mine resulting in fines of $897,325. I don’t know the specifics, but that averages out to slightly under $1,800 per violation. When the dangers include flooding, the build-up of methane, roof collapse, equipment malfunction, and combustible coal dust, one can imagine that the remedies aren’t cheap. And one can also imagine that $1,800 per fine doesn’t offer nearly enough incentive to make them happen. In order to work, paying the fines has to be more expensive than complying with safety standards. Plus, as an added benefit, we could invest the higher fines in beefing up inspection. And the combination of these–broader inspection coverage and higher fines incentivizing compliance–would be a good thing for mine safety.